Under the EU’s General Data Protection Regulation (‘GDPR’): Personal Data is defined as ‘any information relating to an identified or identifiable natural person (‘data subject’); by reference to an identifier such as a name, an identification number, location data, an online identifier or to one or more factors specific to the physical, physiological, genetic, mental, economic, cultural or social identity of that natural person’. (a) Consent: you have given Augusta Ventures Limited clear consent for your personal data to be processed for a specific purpose. (b) Contract: the processing is necessary for a contract you have with Augusta Ventures Limited, or Augusta Ventures Limited has asked you to take specific steps before entering into a contract. (c) Legal obligation: the processing is necessary for Augusta Ventures Limited to comply with the law (not including contractual obligations). (e) Public task: the processing is necessary for Augusta Ventures Limited to perform a task that is in the public interest or for its official functions, and the task or function has a clear basis in law. (f) Legitimate interests: the processing is necessary for Augusta Ventures Limited’s legitimate interests, or the legitimate interests of a third party, unless there is a good reason to protect the individual’s personal data that overrides those legitimate interests. full name, address, telephone number, email, gender, address, Internet Protocol address, National Insurance Number, employment records, bank details, criminal record check and health care records. 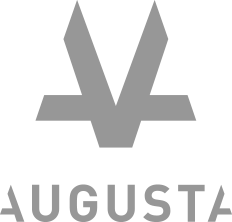 Information is stored by Augusta Ventures Limited on computers located in the UK. Augusta Ventures Limited has security protocols and policies in place to manage and record your data privacy and preferences correctly, and to ensure that your data is stored securely to protect against its loss, misuse and alteration. Augusta Ventures Limited takes steps to ensure that any businesses with which we share your data will have security protocols and policies in place to manage and record your data privacy and preferences correctly and that your data will be stored correctly, in accordance with GDPR. Organisations undertaking reviews of the accuracy and completeness of our information. Our solicitors, valuers and insurers for products. Organisations maintaining our information technology system and providing information technology services. Authorised financial institutions, such as banks, credit unions and building societies, providing account details as a mechanism for providing payments or receipt of payments. As a data controller Augusta Ventures Limited will retain all your information inside the European Economic Area (EEA). Where Augusta Ventures Limited may transfer your data to a third party, we will ensure that the third party processes your data inside the EEA, or has been allocated an ‘adequacy’ rating by the European Commission.